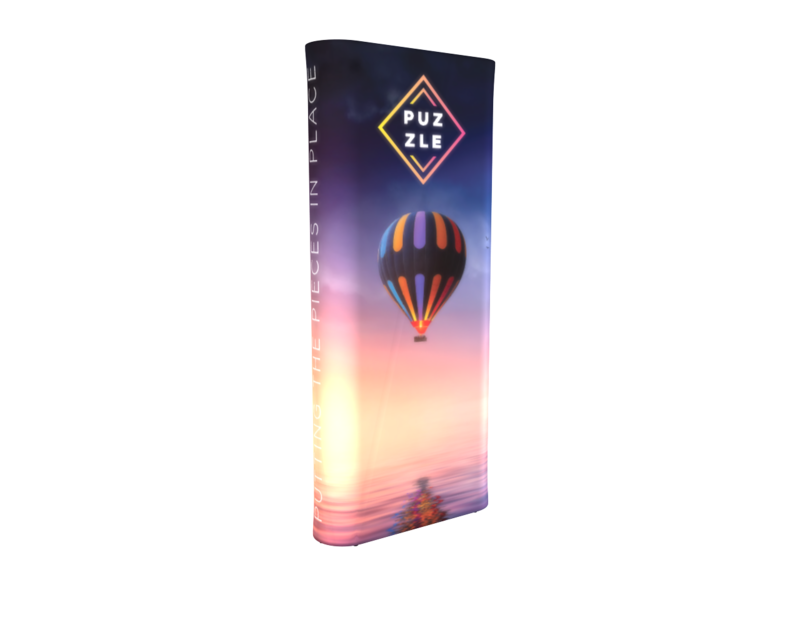 Backlit display panels are the future of visual display marketing, allowing creators to add tone, mood, or atmosphere with light to elevate their message and brand. 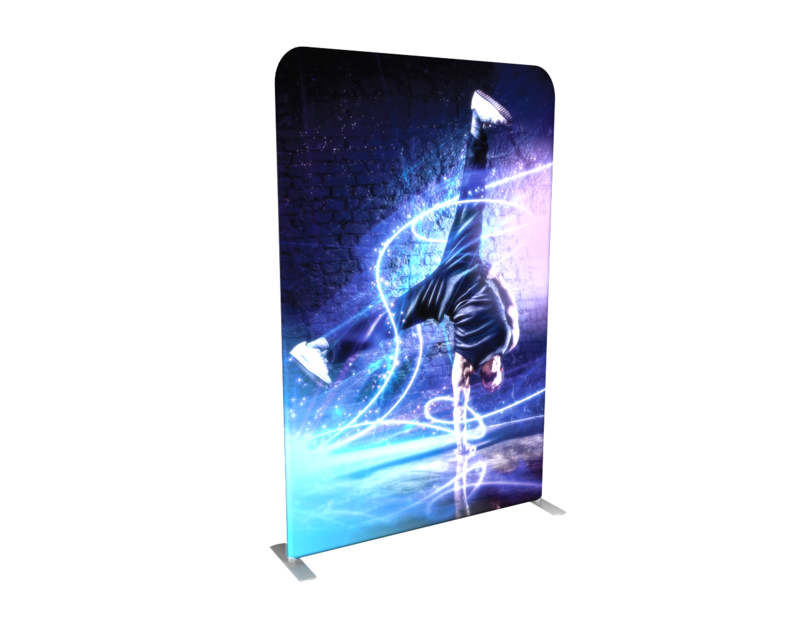 With easy set-up and lighter-than-average shipping weight this affordable display gives big effect for a modest investment. 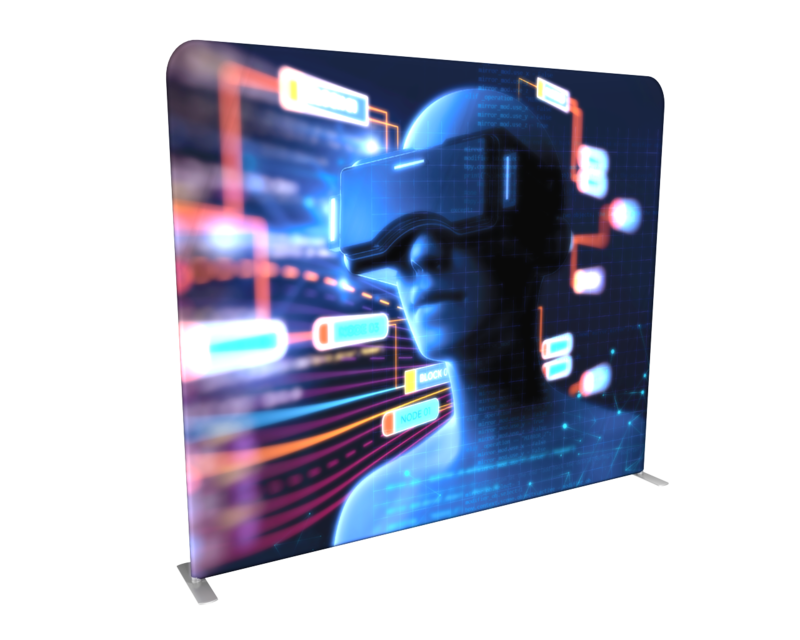 This 8ft Wavelight backlit trade show display combines the best-selling features of our Waveline display with LED backlighting for the thinnest profile of a backlit booth option in the exhibit marketplace. 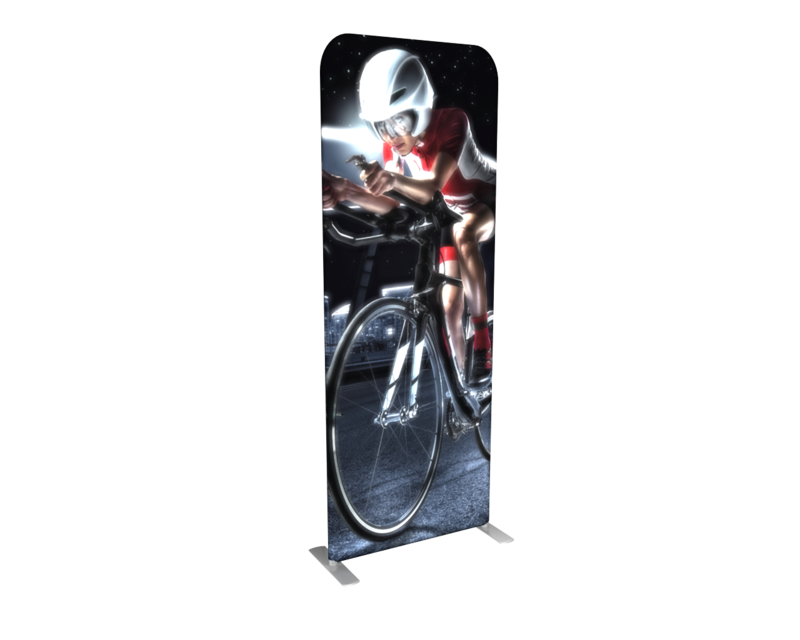 A freestanding panel featuring 360° backlit graphics in an easy inflatable system. 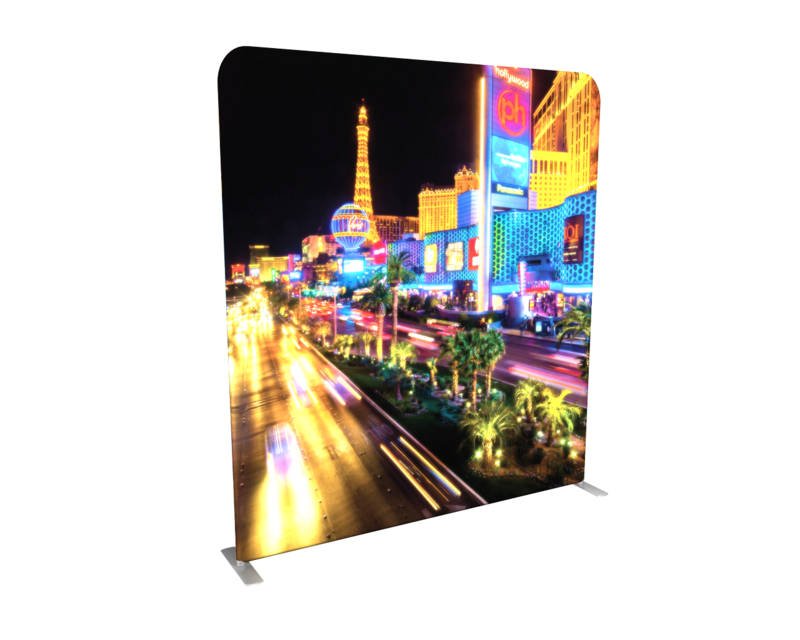 With bright LED lights that flood the tension fabric graphic, your message will burst to life. Plug-in power supply, 500w air pump and soft molded carry case included in the price.